2018 was a fantastic year for 90’s pop superstar Rozalla. The revival of the 90’s “clubland” scene has swept across the Mediterranean, with huge shows in massive 10’000+ arenas across Spain and Italy, and at the amazing Hard Rock Hotel in Ibiza, and a huge super club party on Royal Caribbean’s “Independence Of The Seas” Cruise liner. And one of the headline acts at all of them was ROZALLA. She also entered the recording studio to work on a new album and this her amazing comeback single “Turn On The Light”. 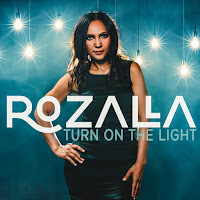 Part written by Rozalla, the song is part auto-biographic, as she sings about the chapters in her book.